← Croc-etts? Is there such a thing? Click through for the full editorial. Some things are hard for me to shake. For example, I grew up wearing a lot of collared shirts. T-shirts are difficult for me to wear unless I’m exercising. But then I began to notice some very stylish looking men wearing crew neck sweaters without shirts. Click through for Mr. Takada’s Instagram. 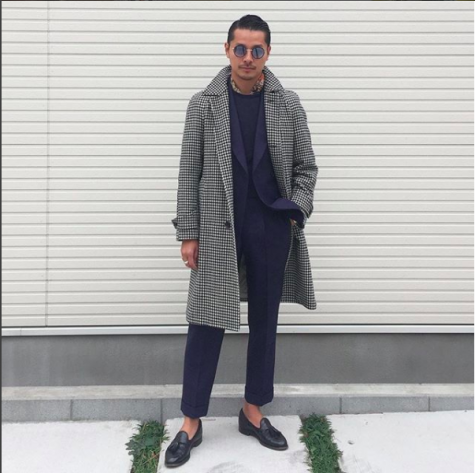 Mr. Takada makes me want to try cropped trousers, even. Greek calves and a stocky German build just won’t lend themselves to the look though. He does solve my issue of feeling like I’m wearing a t-shirt by the addition of a neckerchief. This entry was posted in The Middle Ground and tagged Sunspel, The Rake, Tomoyoshi Takada. Bookmark the permalink. 2 Responses to Inspired by The Rake and The Rakish. 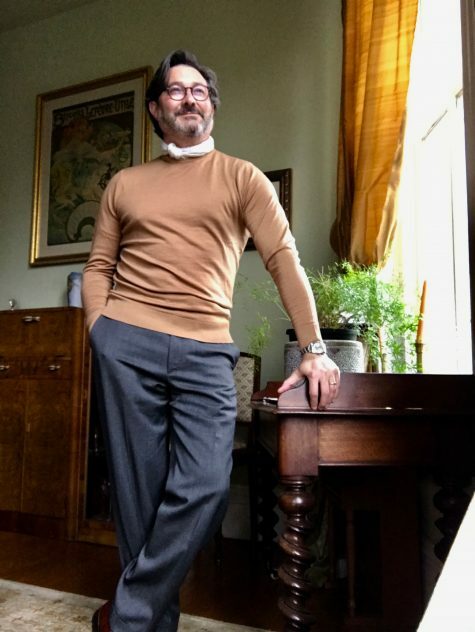 I love the look of a neckerchief with a crew neck sweater. Like Cary Grant in To Catch a Thief. 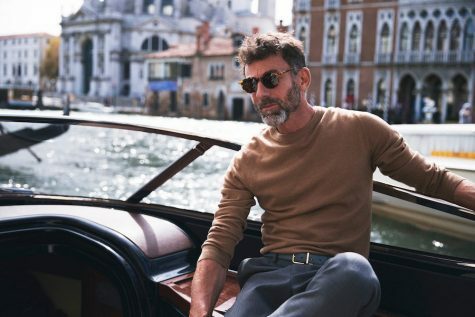 Chris, I notice man in the article by The Rake is wearing wide leg trousers. Do you think this is a new trend? As usual, thanks again for your wonderful posts.